This award was created in 2009 to recognize persons who have made special contributions in the field of AIDS/STD prevention. 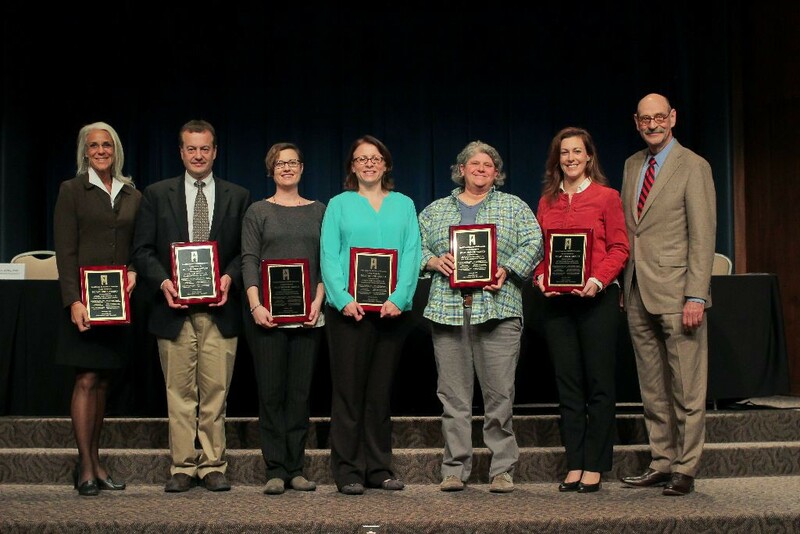 At the RCAP World AIDS Day event, December 1, 2015, the RCAP Honor Award was presented to each participant of a panel discussion of the HIV outbreak in rural, Scott County, Indiana, in 2015. Panel members not only were recognized but also served as representative of numerous others from many organizations that responded to the HIV outbreak. The panel members were (above, left to right): Dr. Beth Meyerson, Rural Center for AIDS/STD Prevention; Dr. Paul J. Weidle, Centers for Disease Control and Prevention ; Emily Brinegar and Amy Hayes, Positive Link, Bloomington; Brittany Combs, Scott Country Health Department; and Dr. Jennifer Walthal, Indiana State Department of Health. The panel was moderated by Dr. William Yarber, RCAP (far right).